I was born as an unwanted guest, a failed attempt for a son. Son came after as my little brother but destiny meant it otherwise. We lost him after 17 years. We all learnt our lessons, grew stronger emotionally but still mostly on Rakhi days, I kept waiting for the so called brothers in relation to tie my Rakhi and eventually overcame that wait too but somewhere that void remains. "A Boy and a girl!" One of my daughter had less hair and extra chubby at that time. “Oh!”….she paused. Her spark fizzled out. “Anyways beta, both are Lakshmis”, She said in a tone consoling me. I was quiet, dumbfounded and extremely angry. Yes aunty, I answered with whole heart. “Beta, you are young, not working now. You must go for a son. 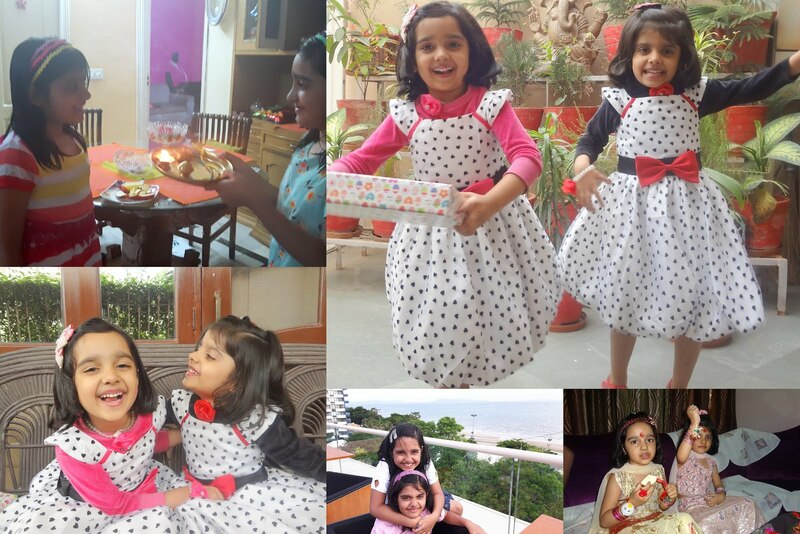 After all the sisters would need a brother to tie their rakhis.” She gave me her golden advice. And Rakhi. As a mother I took a decision when they turned four. I feel so good to share that every year onwards, my daughters tie Rakhi to each other with complete rituals defying the need of a gender to follow a tradition of love. I am happy to break this stereotype, this pattern defined by the patriarchical society that only a boy, the brother is meant to be tied Rakhi being capable of saving the sister. Now a sister will become the strength of another. And it feels so empowering. Let the system get stunned. 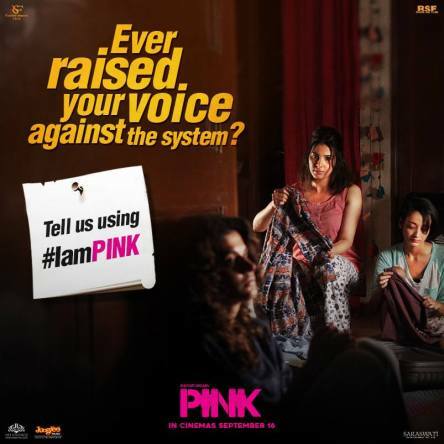 तेरी प्रतिभा ही तेरा अस्त्र है"
PINK is a statement, not just a movie. PINK is a mirror to the society, to show the bias to men and women in the society. PINK is not new, but has a fresh way of satire on the men still stuck in gauging the character of a woman through her dress or food/drink habits.PINK is a chapter to educate the boys to understand that “NO” being said by a girl. No means NO, period. NO is a sentence, not just a word.NO also educates girls to not shy away to admit of their likes/desires in public but claim their equal rights to live freely in the society. PINK empowers a woman to lead a lifestyle she wants, the clothes she wears or the drink she chooses. I must congratulate Mr. Amitabh Bacchan to be the potent medium to bring forward this powerful performance for such a cause. It’s a milestone in his career, his legacy. That special scene wherein he quotes that “Poor boys, who get provoked and excited by the dress choices by girls, we must save the poor boys. If a girl smiles and talks to them in courteous manner, it’s hint for them of her loose character.” It’s a slap with humor and wit on the patriarchal society. Though it’s just a movie, but if it could change the thinking of even 10 men or empower 10 women, it’s worth it. It’s coming from the same Bollywood where woman gets objectified or songs are made on her and she is just her body parts. This change is commendable and shows a sign of growth. Most important, what stored and stayed is woman to woman compassion. How the three friends stuck together and stood for each other in the most adverse times. Normally, out of fear, humiliation, it’s difficult to withstand due to taboos in the society. I really feel that more than men, it’s the women who need to change their consciousness. They don’t need to accept the subjugation instead stand up for each other. This woman to woman sadistic revengeful attitude or unnecessary rivalry is killing our society esxpecially in domestic context. If one woman rejoices for another woman’ freedom and empowerment then things could change for better. In the name of culture, moral values, the senior women fear change in the generation and feel that everything would be harmonius if the pattern is followed. It’s time to change the patterns. It’s time to claim the freedom. It’s time to be a woman and free. It’s time to wear PINK and be PROUD. That's a lovely idea! I too have a sister and though my parents never discriminated or considered us a burden, they received such unsolicited advice from time to time.